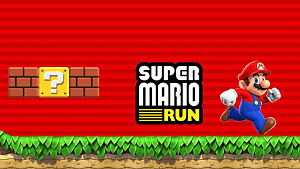 The long-awaited Super Mario Run is finally available on iOS devices in the app store. It is much more than a simple run game like Temple Run -- there are multiple things you can do in and out of a level. There are multiple modes and characters you can play -- and even though it costs money to get the full game, you can use most of the features for free and play the first 3 levels. 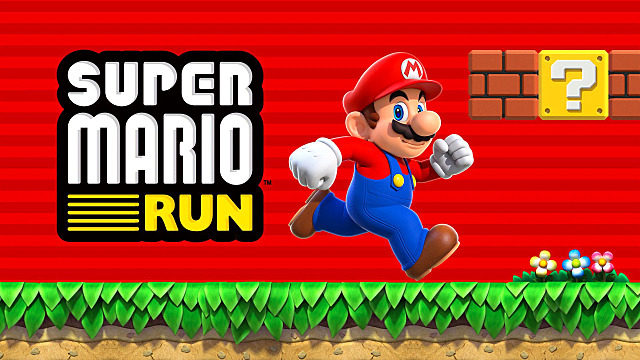 I'm going to go over everything that Super Mario Run has to offer! How to Play and Tips - The basics of playing the game and some tips to help you get better. Game Modes - All the games modes and what they do. Free Vs. Paid Options - What you get for free and what you need to pay for. The basics of the game is simple. 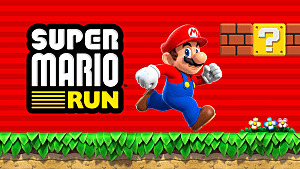 Mario runs automatically, and you tap the screen to make him jump. The longer you hold, the higher he jumps. Your character will automatically vault over small enemies and obstacles, but you can tap to jump over them if you want. When you come to a wall or pipe above you, you can jump on it and keep tapping to climb it. There are colored coins you can collect during a level. The first time you collect all of them in a level, you get 2 Rally Tickets. Each level starts with 5 Pink Coins to collect. When you get all of them, you get 5 Purple, which are harder, and finally 5 Black Coins after that. This allows you to get up to 6 Rally tickets per level if you collect everything. You will need to see every part of a level before you can decide on the best way to complete it, and collect everything. While in the air you can stall your jump by swiping left on the screen, which can help save you from getting hit, or allows you to get extra points by landing on enemies. When you get to a wall, just tap jump or fall down to it to start sliding down. If there are back-to-back walls, keep tapping to climb them to better areas. You can also use a wall to jump backwards if you missed something, or for hard to reach objects. If you tap the bubble, or make a mistake, your character gets put into a bubble. 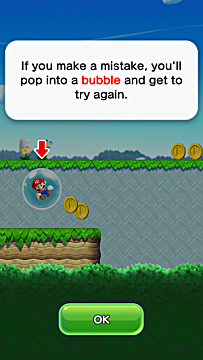 While in the bubble, your character will float backwards through the level until you pop it. This is very useful if there are multiple paths to take because you can use the bubble to go back to the path you skipped. Holding down will make you jump higher, while tapping it quickly does a low jump. Tappin in the air will cause you to spin, which slows your fall. Doing different jumps will allow you to get to areas and coins you wouldn't be able to get otherwise. This is the main/story mode in Super Mario Run. You can earn coins and unlock new levels by playing through this game mode. There are 6 total worlds, with 4 levels in each, for a total of 24 levels. You must pay the one-time price to the levels past World 1-3. This is a game mode where you compete against other players for the highest score. This is not done in real-time, you will run against a CPU version of their actual run. It is a continuous run that repeats the level until time runs out. Collect as many coins as you can, defeat enemies, and collect the colored coins to raise your score. As you go through the level, you will fill up the Coin Rush gauge at the top of the screen. When it is full, you go into Coin Rush mode to get even more coins. Each time you collect a colored coin, you will get a Toad to come cheer you on. At the end of the run, you will get extra coins for the number of toads that came to cheer you on. Once time is up, all the coins you earned through the run will be tallied up. You will also see how many coins your opponent earned. After the extra coins from the Toads are applied, the person with the highest score wins. The person that wins will get Toads added to their kingdom. When you get enough Toads, your kingdom will level up, which allows you to build things. You can get Red, Blue, Green, Purple, and Yellow Toads. 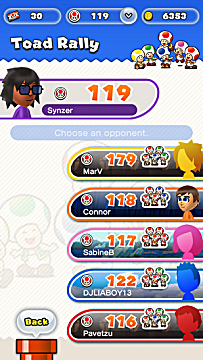 When you select an opponent, it will show you which colored Toads will be available. As you collect coins, colored coins, and Toads, you will be able to build things for your kingdom. This includes decorations, buildings, and special items. The special items can unlock mini-game courses that allow you to get more coins and tickets periodically, ? blocks, special course, new characters, and more. Everything is bought with coins, which you earn in-game, but you have to collect Toads and Colored Coins to unlock many of them. When you purchase something to build, you will get options of where to place it in your kingdom. As you play through the game, you will be able to expand this to offer more places to build. To access the full game, you will need to pay $9.99. 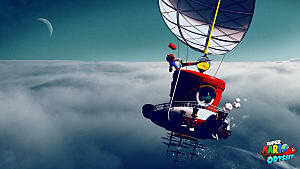 The good news is you can try the game for free and access all the features without paying. This is more than a trial because you can buy things with in-game money, complete the 1st 3 levels as much as you want, play Toad Rally, and anything else the game has to offer. You cannot access the rest of World Tour, which again has 24 levels and you only play 3 without buying. 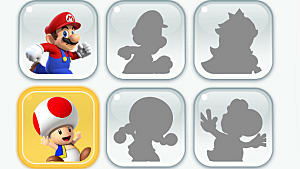 This also limits you on which levels you can play in Toad Rally, which means you may not be able to unlock all of the characters. You will be limited to how many Rally Tickets you can get since you cannot do any of the other levels, but you can still obtain them from mini-games. If you do pay the $10, you get access to all the levels the game has to offer, as well as few purchase bonuses. The ? block is something you can place in Build Mode and gives you coins when you tap it. This is a one-time purchase, so you won't have to worry about microtransactions. 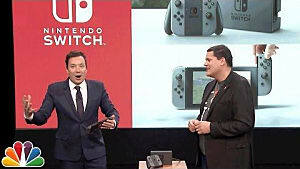 Everything else in the game is obtained by playing and/or using in-game currency. If you enjoy the game, you can continue to play it as much as you like without paying, but you won't be able to access everything. This is good if you don't/can't pay, but it is definitely worth it to buy the full version. 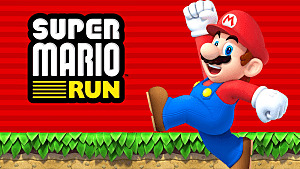 That's all for my Beginner Tips and Tricks for Super Mario Run. Let me know if you have any questions! 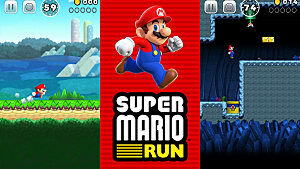 What Went Wrong with Super Mario Run? 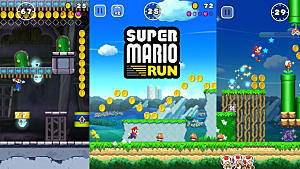 Does the Amount of Gameplay in Super Mario Run Justify the $10 Price Tag?